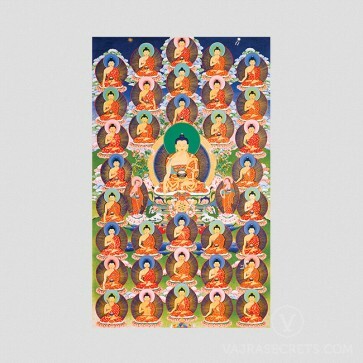 A canvas printed thangka of the 35 Confessional Buddhas. This is especially suitable for those engaging in purification practices. 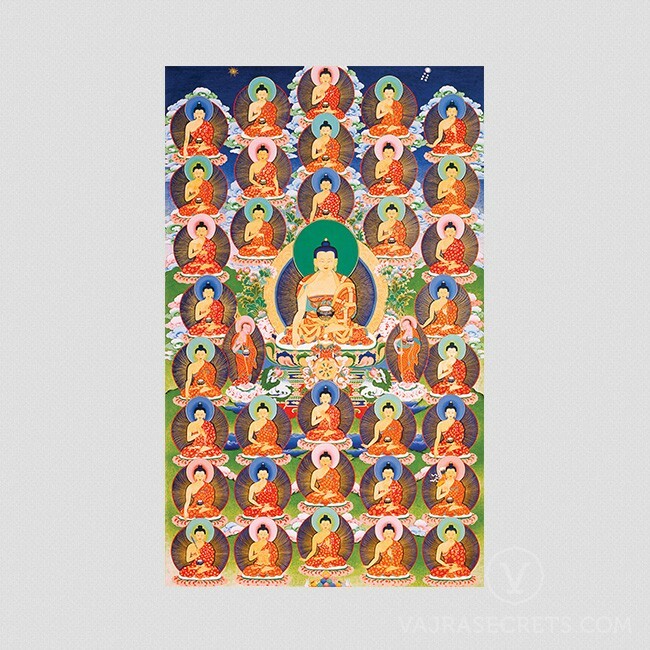 A canvas printed thangka of the 35 Confessional Buddhas. The practice of the 35 Confessional Buddhas is common to all schools of Tibetan Buddhism and this thangka is especially suitable for those engaging in such purification practices.